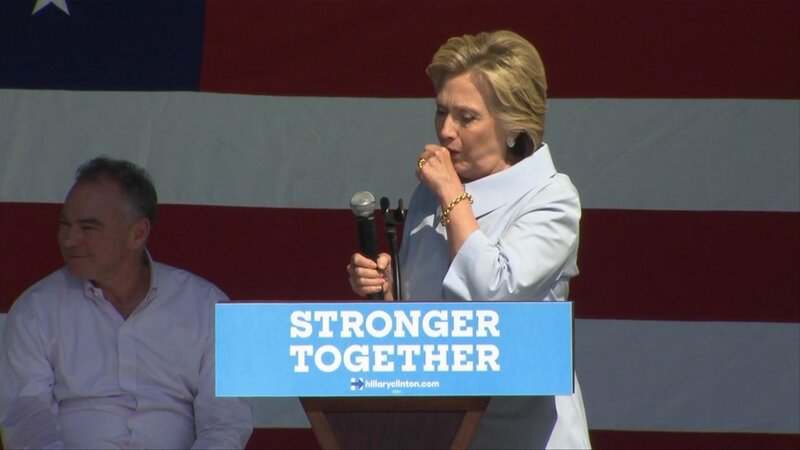 Hillary Clinton struggled to fight back a coughing fit while campaigning in Cleveland, Ohio, on Monday. “I've been talking so much,” Clinton said with a hoarse voice. "Every time I think about Trump, I get allergic." The former secretary of state has suffered from coughing fits at times throughout the Democratic presidential primary. However the frog in Clinton’s throat on Monday was one of the most aggressive she’s had during her 2016 run and left her almost unable to finish her remarks. After the event, campaign aides attributed it to allergies.